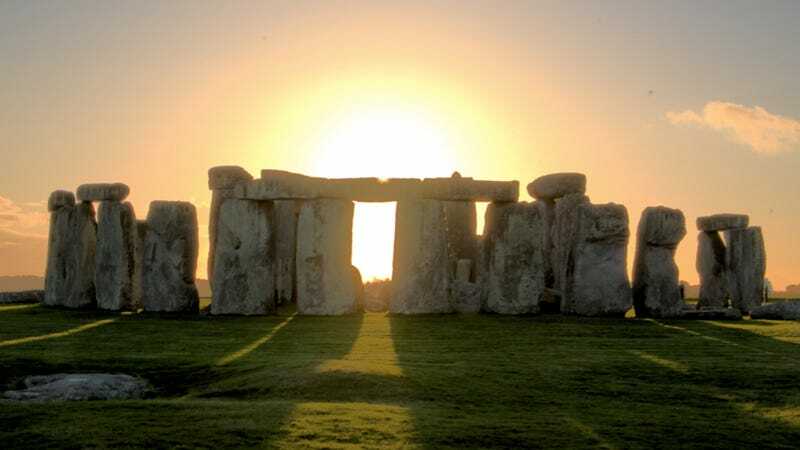 In an effort to ease traffic around the region, the British government has announced proposals to bury the A303 highway under Stonehenge. The howls of outrage have begun. Ever since the A344 was closed last year on account of the new visitor center, traffic jams have increased considerably in the area around Stonehenge. The proposals, which take the historic relics into account, are intended to protect the monuments and "tackle the blight of the road that dominates the landscape of Stonehenge." ...Kate Fielden, an archaeologist and member of the Stonehenge Alliance – which represents conservation groups including Friends of the Earth, the archaeology campaign group Rescue, and Aslan, the sacred landscape network whose members include pagans and druids – said: "The short tunnel plan will create serious damage to the landscape on each side, within the world heritage site which the government is ignoring its commitment to protect." Fielden accused English Heritage, which cares for the stone circle and owns the visitor centre opened last year, and the National Trust, which owns thousands of acres of surrounding farmland, of abusing their responsibility to care for the site. The Alliance has launched a petition for a tunnel at least twice the length the government proposed. Mike Heyworth, director of the Council for British Archaeology, said a tunnel with both entrance and exits within the world heritage site "would have major implications for the archaeology – we should be asking whether a major expansion of the roads network at Stonehenge just to meet traffic needs is the most appropriate way to deal with such a site". Would the tunnels be trench-dug and back-filled to save money, or truly tunnelled, which would have less impact? Damage to the ancient burial places of our ancestors is of huge concern to us. It is not acceptable to simply make an archaeological record of things in the course of their destruction; we wish the remaining traces of our ancestors in the landscape to be left in peace for future generations to connect with. Recent removal of ancestral remains from the Stonehenge landscape without reburial and their subsequent public display has greatly increased our sensitivity and distress on this issue. We simply don't trust the authorities to protect this legacy or take our feelings and beliefs into account. Should things proceed, he says money should not shape the outcome, and that plans should be observed as they evolve in order to ensure the region's spiritual use and access for future generations. Read both articles at The Guardian.